Avail of meal planning services – Availing of meal planning as part of a home care service in Woodbridge, Virginia is a great way to ensure that your elderly loved ones are enjoying bone-health recipes always. By following a dietician-approved weekly or daily menu, your elderly loved ones can get the necessary dose of calcium, Vitamin D, magnesium, and other bone-healthy nutrients they need. 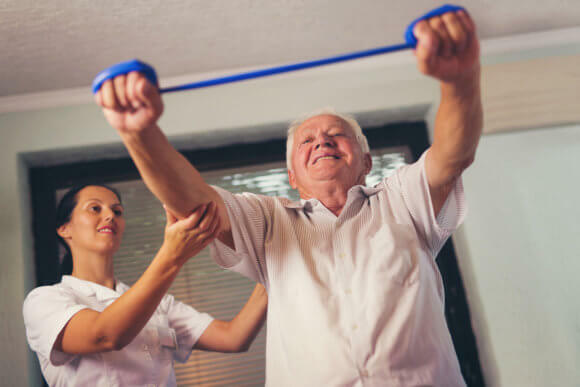 Avail of therapies and medical services – Your elderly loved ones could also use regular physical and occupational therapies to maintain the optimal function of their muscles and bones. Therapies are also non-invasive and therapeutic which means they won’t have to handle the side effects afterward. Hire elderly care services for them – Although your elderly loved ones can still be on their own, it’s still best to avail of companion services in Fredericksburg, Virginia for them. Doing this is a way to have someone keep an eye on them wherever they go just for safety purposes. If your elderly loved ones are suffering from chronic degenerative diseases, hire an expert in skilled nursing in McLean, Virginia to attend to their medical needs effectively. Seniors need their bones strong for them to go about their daily routine easily. If you’re now looking for an expert for assistance, you can contact OptimumCare Home Care Services, a leading provider of elderly care services. This entry was posted in Senior Care and tagged Healthy Lifestyle, Meal Planning, Medical. Bookmark the permalink.